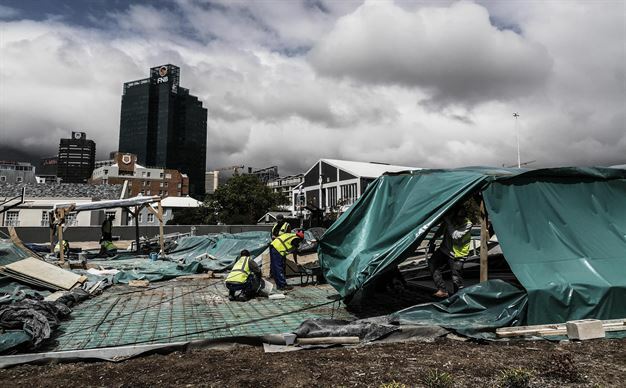 A new district is taking shape in Cape Town's V&A Waterfront. 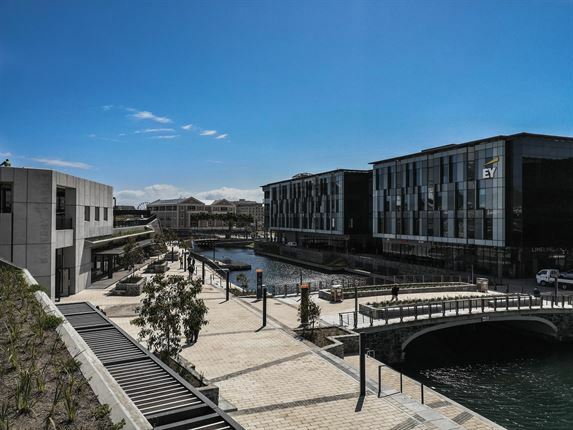 Designed to accommodate the city's growing pedestrian traffic, the Canal District will be a multi-use space that is the first point of contact for those visiting the Waterfront area. 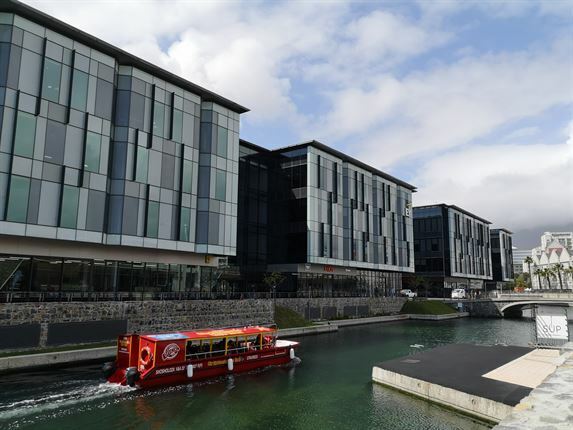 It encompasses an urban lifestyle, with business parks and amenities for those who live in the area, but will be a completely free public space where you can play sports, picnic or take a paddle down the canal. 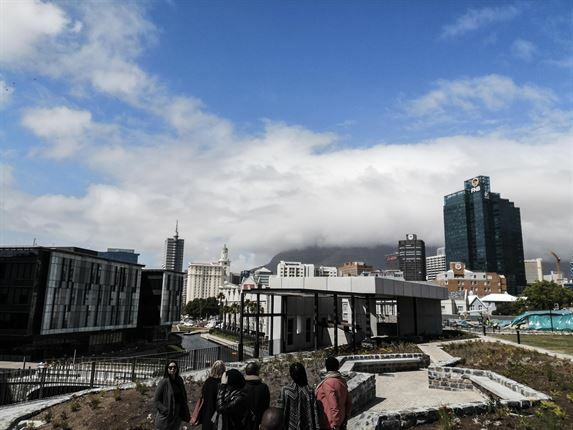 The aim of Battery Park, a big part of the district and totalling an investment of R300 million, is to "reestablish the connection between the city and the sea," according to V&A Waterfront CEO David Green. 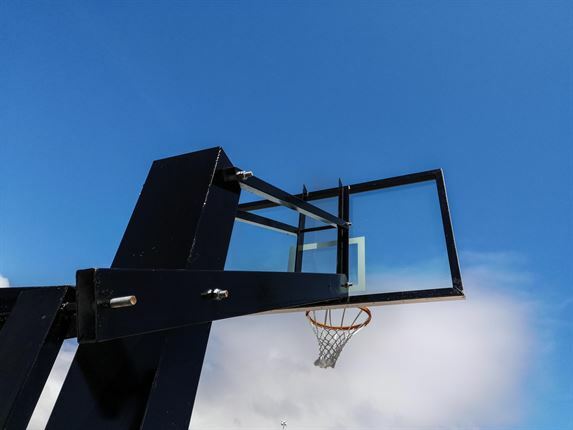 "Our overarching vision though was to provide a functional, convenient, comfortable, safe and unrestricted space with recreational activities for all age groups." 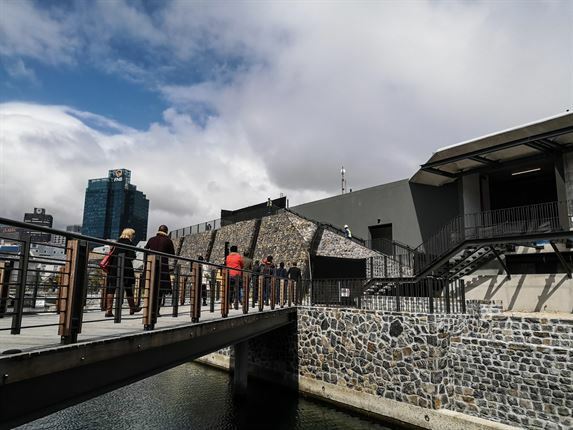 Aiming to be completed by November this year - maybe even earlier - the district will also retain some of the city's heritage in its architecture. 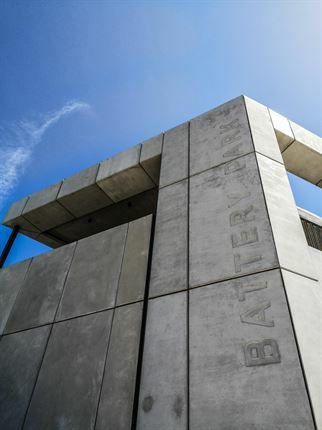 It was once a strategic vantage point for the Amsterdam Battery, constructed in 1784 and partially dismantled to make way for the construction of the harbour we know today in 1905. 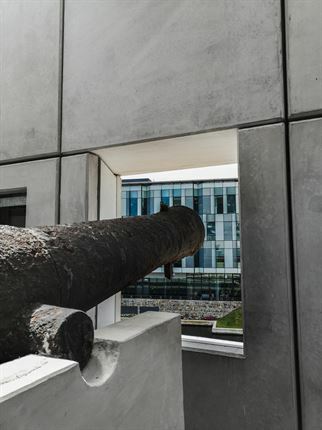 At Battery Park, you can still see parts of its old wall that was excavated and two ancient cannons that was in storage up at Signal hill. 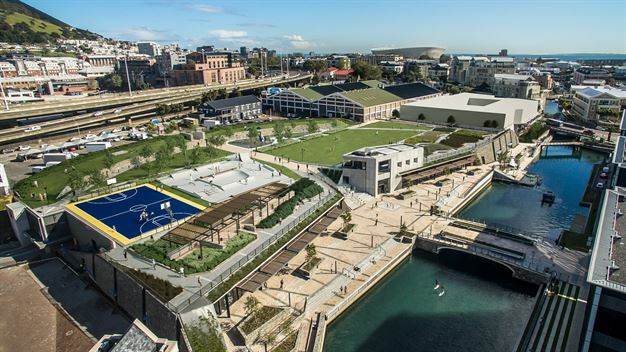 The canal itself also doubles as a tourist attraction, where tourists can rent stand-up paddle boards and see the city from a new perspective. 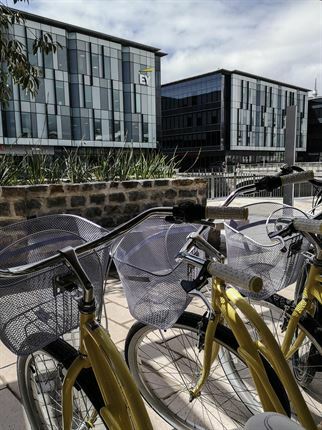 Rent a bike right next door to check out the CBD and Waterfront. 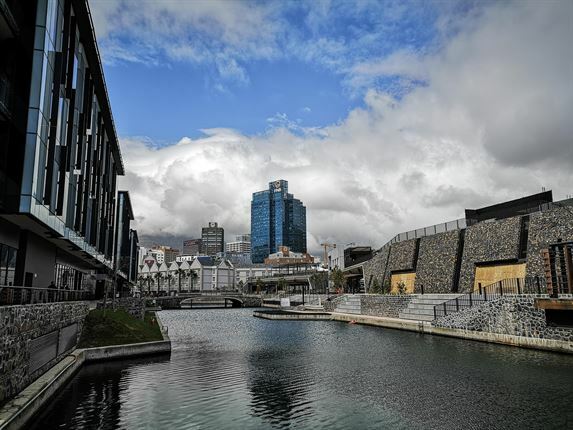 Water taxis are also active in the canal, which goes all the way to the Cape Town International Convention Centre. 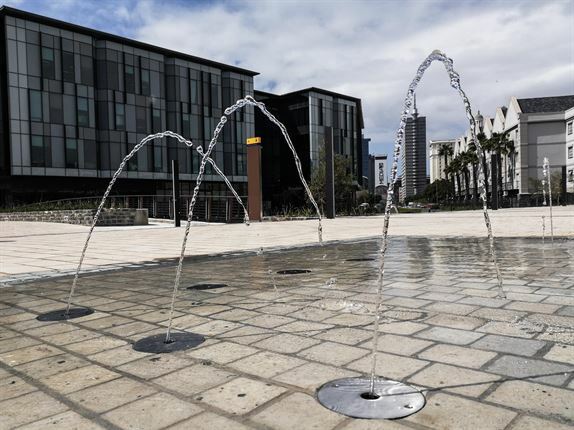 Most buildings and features in the district are built to environmentally-friendly standards, including natural use of light and heat to push down energy consumption, solar roof panels, rainwater harvesting and greywater recycling. 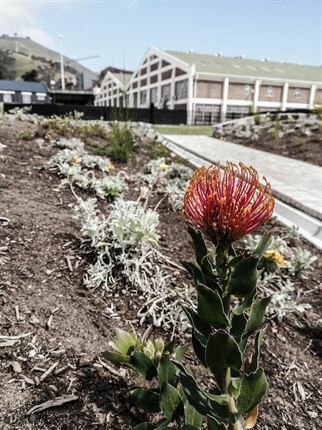 Landscaping in Battery Park consists of waterwise fynbos and other indigenous plants and trees. 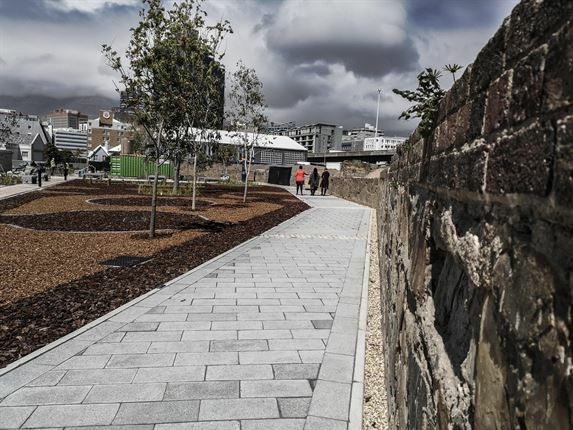 The park will also have have a large picnic area - which might become a new spot for the roving open-air cinema - as well as a skatepark, basketeball court and playground for kids. The large traffic circle in the Canal District on Dock Road will be removed to improve the flow of traffic and to create a safe pedestrian crossing.